I talk a lot about content marketing and personal branding. Moving forward, nearly every person will be their own “brand” regardless of their current employer. This is even more relevant for consultants, industry experts, coaches, authors, advisors — those of us whose livelihood depends on successful personal branding. This week, red-hot startup, Blab announced that users can now embed live Blabs on their own websites. This is awesome because your audience will see live Blabs, and never need to leave YOUR page. They can watch, chat, and call in — live. After the Blab is over, it will automatically turn into a replay. When the decision was made to move the Never Mind Marketing brand to our flagship site here, I was certainly uncomfortable. I’m not a fan of being in the spotlight – but the entire team felt that I was already the face of the brand, so we should capitalize on that more. Part of that decision included folding some of our corporate outlying brands into the Shaun Nestor brand. When I do live interviews, it is best — from a branding perspective — to use our primary website as the hub. In fact, I always advocate that brands use their owned URL as the center of any marketing campaign, use social media platforms as outposts to reach out and pull users back. I’m not sure if I will use a fixed URL, like www.shaunnestor.com/blab for all my live Blabs, or if I will create a new blog post for them. The first option requires a little more technical knowhow, but it isn’t impossible. Either way, expect a lot more live interaction from me — from this site! 3. Just copy paste that code (or just the URL if using Tumblr or Medium) onto your blog or website! Going forward, I will be encouraging consultants, experts, advisors, and mentors to use Blab to build their own credibility and audience. 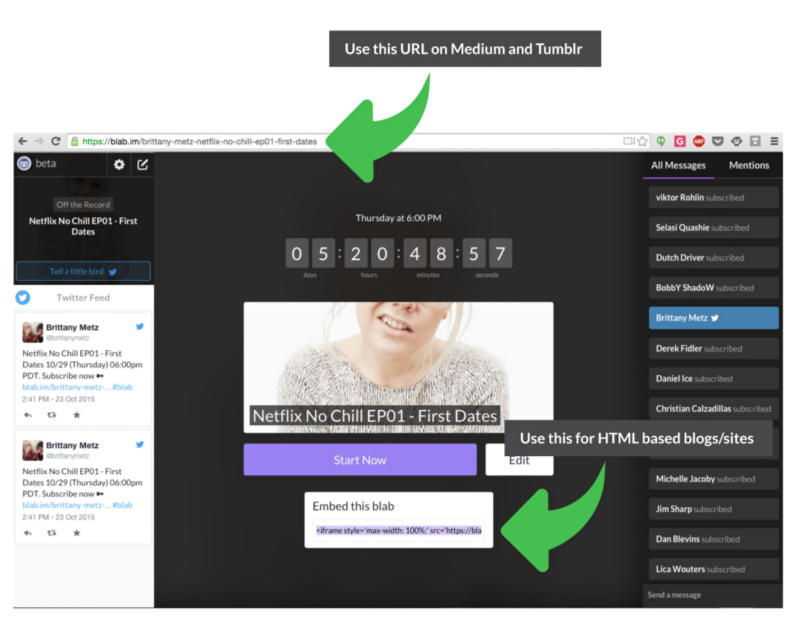 You all get bonus points for using Blab’s new embedding feature on your own branded site.